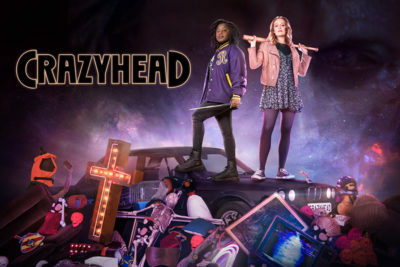 Hello Frequent Flyers and welcome aboard our 95th Flight, Crazyhead. You know that feeling when you’re in a club with your bestie, and all of the sudden some dude who looks like he’s on fire from the inside out starts trying to hunt you down and you gotta run for your life? Remember those good days? What about the bit where your bestie becomes possessed and tries to strangle you with the belt she loaned you? Not ringing any bells? Geeze. What about the exorcism of said friend? That’s gotta be a relatable early 20’s experience. This is all bog standard far as I’m concerned. Maybe you need to double check your ticket, because this is a plane that’s on the airway to hell.